Simca built FIAT cars under license in France. Simca had many sporting successes, thanks to the attention of amÉdÉe Gordini a French-domiciled Italian. 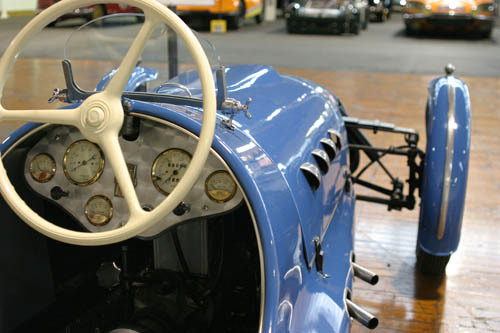 Prewar Simca-Gordinis were sports cars, but single-seaters arrived in 1946. The early postwar Simcas followed the FIAT theme. 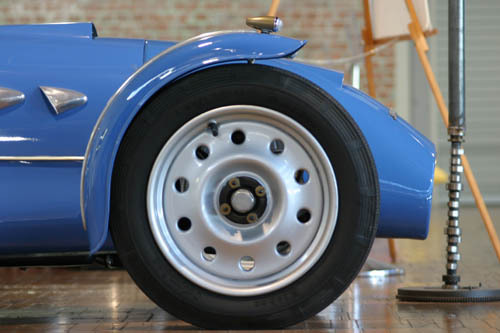 This car was built by Gordini by using the running gear and chassis of a 1937 FIAT 500. 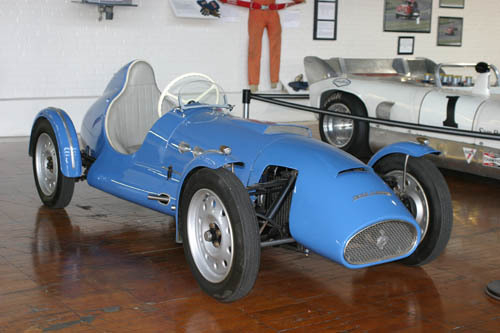 It is one of a small series built for the French 500cc to 600cc racing class and was raced on the Paris circuit during the late 1940s and early 1950s. The race field typically would have 20 t0 25 entrants. The car was restored in the Netherlands with input from Gordini to keep the car as original as possible. The color is the correct Gordini color for the year and car.